45 years old (Physically. Mentally somewhere in the tweens.) 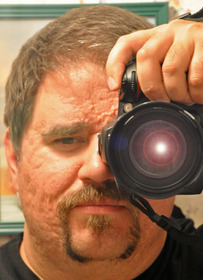 Husband, father of 5, part time photographer for a local newspaper, author, poet, flash fiction obsessor. Sometimes things just strike me, an impetus is born in my brain and I need to get it out. Writing affords us (writers) an incredible amount of freedom. The world, the universe, time itself, we hold in the palm of our hands. God, Tolkien, Clive Cussler, Frank Perretti, Sun Tzu, Dave Barry, Stephen King, Sir Arthur Conan Doyle, Gary Larson, Poe, Timothy Zahn...the list goes on. I ADORED your comments on Mother's Day. Thanks very much for the very generous comment on Human Frailty sir. You must log in to write on Michael Kelso's wall.